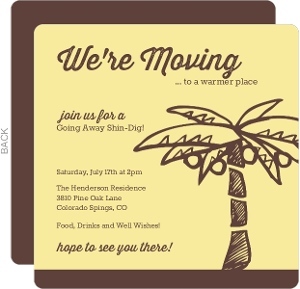 Moving is hard for more than one reason. 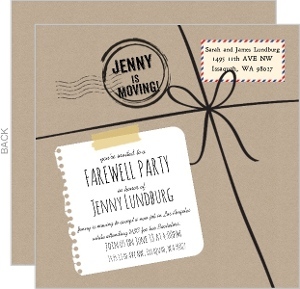 If you or someone you know moving quite a distance, the space you're creating between family and friends can be saddening. 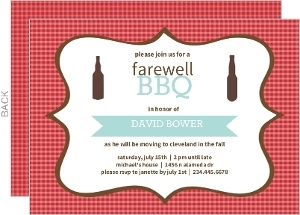 Sending them off in a blaze of glory is the best way anyone knows to start their journey. 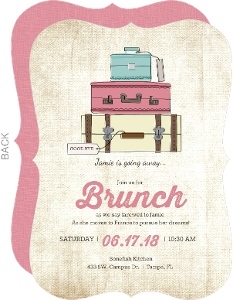 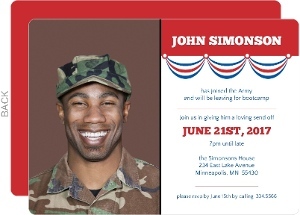 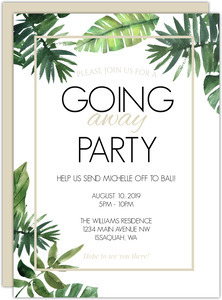 A bash of epic proportions, or just a get together with those close to you, commemorate the event and get everyone together with an invite that you can personalize. 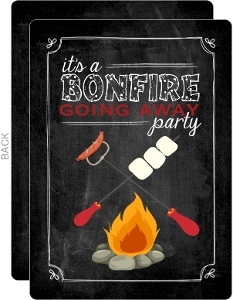 Add photos of good times, a quote from their favorite movie, and more. 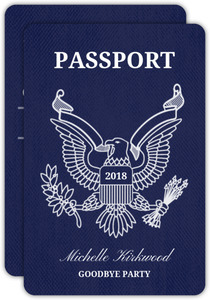 With a myriad of designs to start from, and the ability to change everything about the card to fit and look how you want, this is a solid choice. 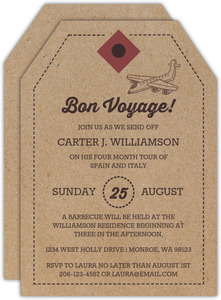 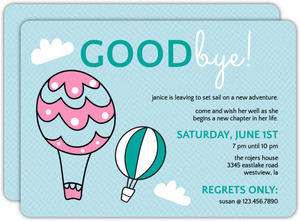 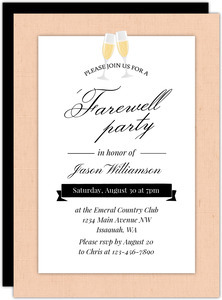 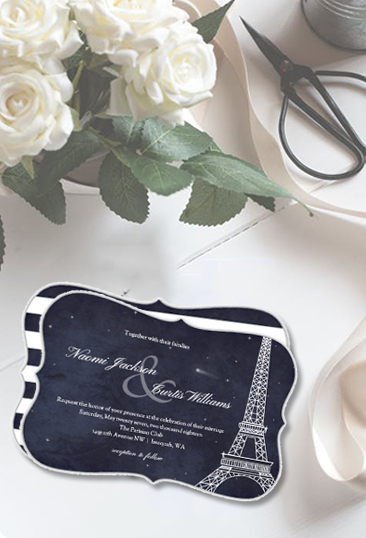 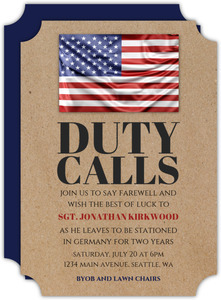 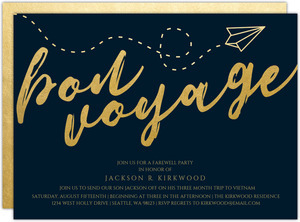 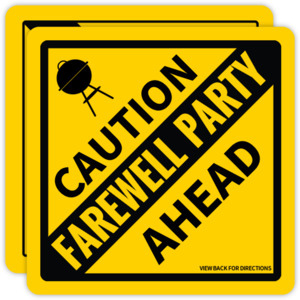 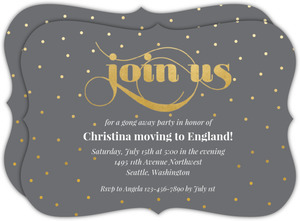 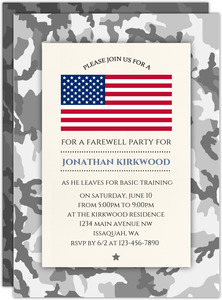 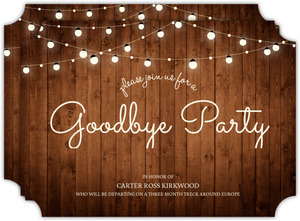 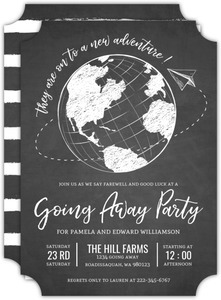 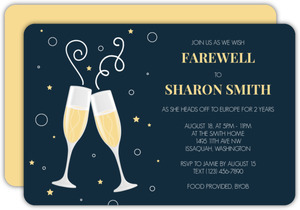 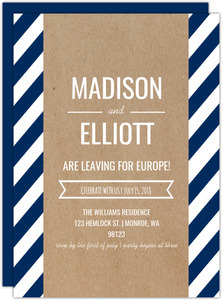 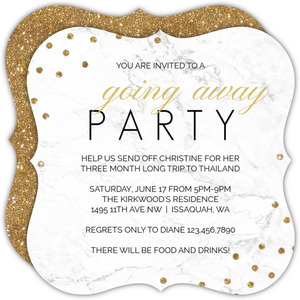 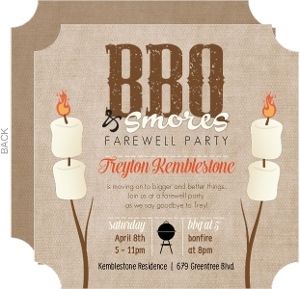 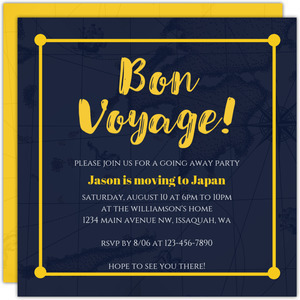 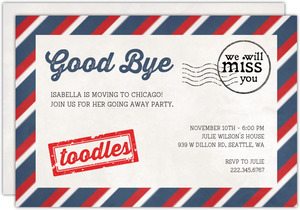 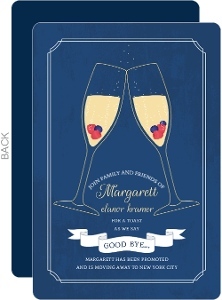 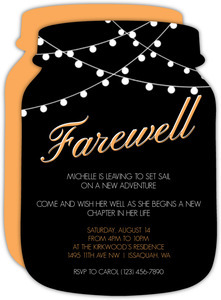 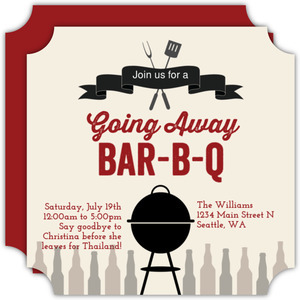 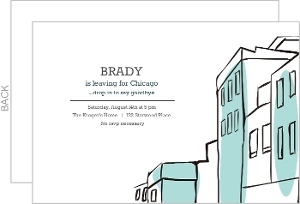 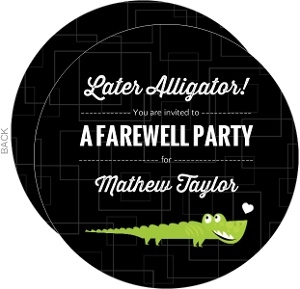 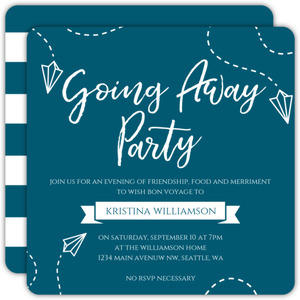 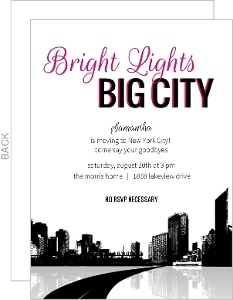 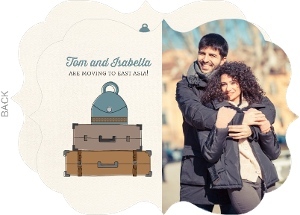 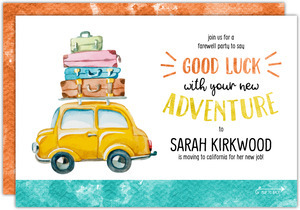 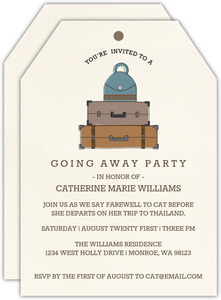 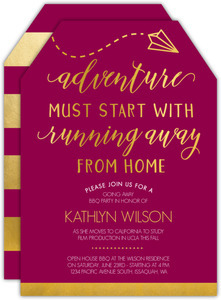 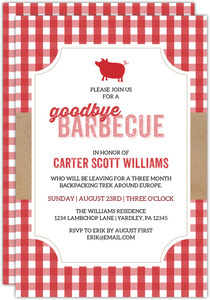 But what makes our custom going away cards the best choice is our quick printing and shipping times. 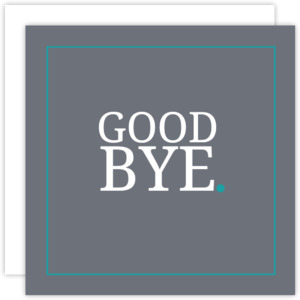 If you took just a bit too long to get these together, don't worry, you're not the first, and you won't be the last. 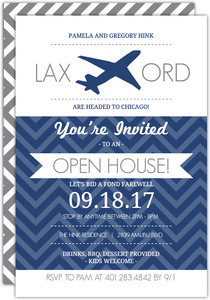 Choose rush processing for an even quicker delivery!